Keeping your roof in good working order and protecting your home means you’ll likely need a roofing contractor to make repairs, do inspections on the roof, and in some cases, install a completely new roof on your home. But with so many roofing contractors in Canton Michigan today finding one can be difficult. Plus, there are many people who are now attempting DIY roof repairs which is not only dangerous for the person, but risky for the roofing materials that are installed on the roof as well. Hiring a roof contractor in Canton Michigan that is fully qualified is certainly the smart move if your roof needs attention. We’ll go over some of the reasons why you should always consider using a qualified roof contractor below. As you begin the process of upgrading your home, one of the first steps to making your goals a reality is hiring the right contractor for the job. It is a title that is held by many, so which one should you choose and why? There are many reasons why hiring a contractor makes your renovation easy and stress-free, so utilize these tips to ensure that you are selecting the right team for the job. Not only will you get a better project outcome but you’ll likely have to invest less money for the value you get because of the longevity of the roof and the warranty that is attached. Any contractors that you work with should hold insurance, or they should be insured by the company that they work for. If a contractor is uninsured, you could potentially become liable for any accidents that occur on your property. When you have your first initial meeting, ask for proof of insurance and proof of a contractor’s license. You should also be able to ask the contractor for a list of other houses that have been worked on, so that you can see real-life results. Since roofing is one of the more dangerous projects when it comes to home improvement making sure your roof contractor has insurance is a must. While you might be able to complete the physical labor that your home renovation requires, you likely will not have the knowledge of specific detailed city codes and ordinances. This is important, because permits may be required. Your contractor will have more insight on this topic, and will be able to obtain all permits and other required documents ahead of time. It is also important that you have someone on your team that knows city codes, because your renovation might be required to meet exact standards. When you seek out a local contractor, he becomes your guide to getting the work done on your home. This becomes very important. If you have any questions or concerns, your contractor will be able to guide you through the process. With this resource, you will be able to accomplish a lot more with your home than if you were having to take care of everything by yourself. Hiring a contractor takes the guesswork out of your project. You will not have to spend any time doing research, instead, your contractor will be able to present you with the options and explain the benefits of each one. By hiring a local contractor in Canton Michigan, you are not only supporting the individual and the business, but also the area that you live in. When you hire someone local, it shows that there is a demand in your area for the service that your contractor is providing. This will help the business to flourish and to ensure that the quality of work is kept up. Having a successful, growing business is an indication that the area is thriving and is desirable to live in. Tittle Brothers Construction would love to serve you on your home roofing project. With dependable and trustworthy roof contractors, you will be able to rest easy knowing that the job is going to be done with integrity and your home’s roof will be done correctly. 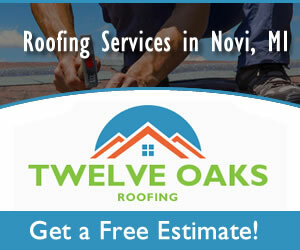 Call 734-225-2525 today to set up a consultation for your estimate!